People don’t join organizations, People join people. This was one of the main takeaways during my training sessions at DLC. When we arrived in Atlanta on Friday, I had no idea what to expect. I had my ideas of course, and from what my sisters who have been before told me, it was sure to be an unforgettable weekend. Throughout DLC, leading the way was a recurring theme. It was present in each of my NMC sessions as well as others. 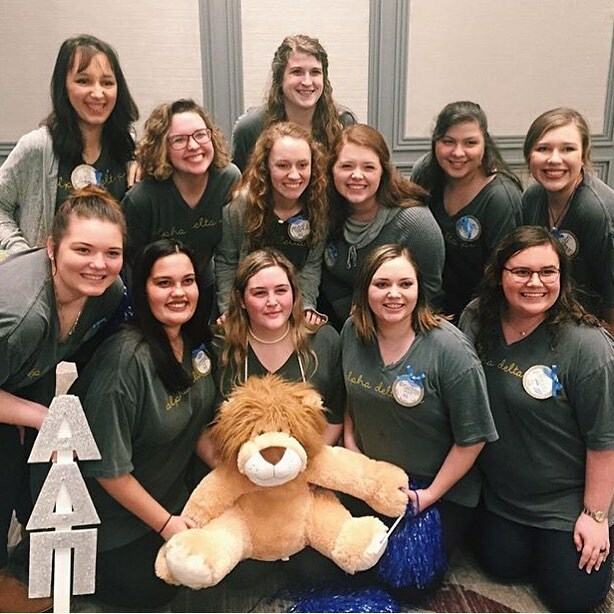 While I was in my sessions, I kept thinking about what it really means to lead the way in Alpha Delta Pi. In order to lead others, you must be willing to serve others first. Servant leadership is the key to any type of success. Each of us who attend DLC were chosen to lead our chapter. Whether you’re the Chapter President, Formal Recruitment Chair, Standards or New Member Coordinator, we all have the responsibility to put our chapter and our sisters first before thinking of ourselves. If we find the “why” we serve, we can understand the rest. I serve Alpha Delta Pi because I want to be the example for future women in this organization to look up to and aspire to be. I want my sisters, whether at my home at the Eta Zeta chapter or across the country, to know that I will always care for each of them. No matter how small the problem or how big the accomplishment, I will always be their biggest supporter. Even within all the cheers, awards, t-shirts and Alphies, there was always the reminder of why we joined ADPi in the first place. People join people, and those people are why we love to serve.